Whether you are spending the day at your favorite track or riding your favorite local roads the Latigo 2.0 Suit offers you great protection and fit for the ride. The generous cut of the Latigo 2.0 Suit offers something European suits cannot, comfort on and off of the bike. 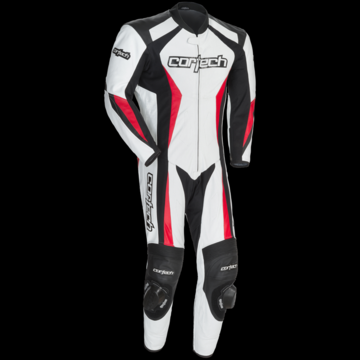 Utilizing a more American fit, the Latigo 2.0 Suit fits well on almost any body type or motorcycle. • Accordion-Style expansion panels at shoulders, elbows, waist, and knees. • Heavy-duty, stretch nylon panels in the torso, arms, inseam, and calves. • Rotated sleeves and pre-curved legs for comfort and performance.